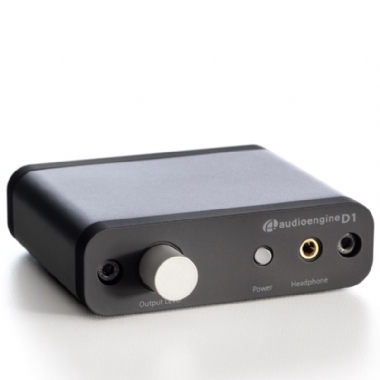 Audioengine D1 Premium 24-Bit DAC (digital-to-analog converter) allows you to bypass your computer's soundcard or headphone output and send audio through USB or optical to listen to on your active speakers, hi-fi system or through headphones. The obvious choice of active speakers are of course either the Audioengine A2 or Audioengine A5+ but you can connect the D1 DAC to any music system with an audio input. The D1 will improve the sound of all your music stored on your computer! - Product dimensions: 3.5 x 4 x 1"